The Vespa 946 Emporio Armani is equipped with fuel injected 125cc engine, featured with aluminum cylinder block, electronic like traction control system, dual channel ABS, big 220mm disc brakes along with 12 inch alloy wheels. The scooter comes in only one color and that is Matte Black, marked with Emporio Armani logo in chrome finish at the side panels of the scooter. The Vespa 946 Emporio Armani brings together two well-known Italian brands which have achieved iconic status world over. We are delighted to bring this exclusive bike to our patrons in India who can truly comprehend and appreciate the luxury appeal of the bike. Crafted to perfection this bike has classic design aesthetics with a contemporary twist. 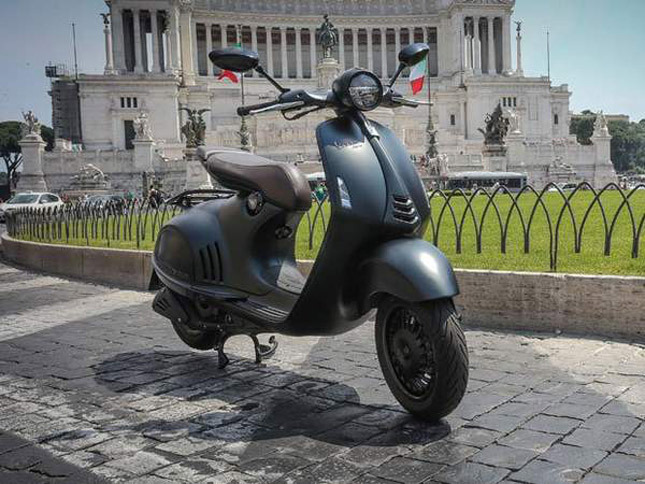 The Vespa 946 Emporio Armani will be brought to India via CBU route and it will be available across all the leading Motoplex showrooms of the country. The scooter is priced at Rs 12,04970 (Ex-Showroom-Pune).